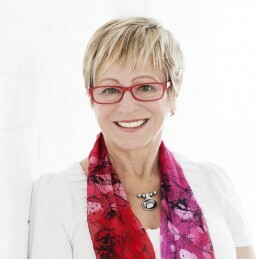 Noelene Dawes specialises in relieving stress and releasing leadership capability. She specialises in transitioning managers into leaders by building strategic decision-making, communication and influence skills. Noelene provides strategies for her clients that allow them to build new perspectives to address current issues and solve recurring problems. She has inspired many people to proactively change their behaviour and achieve lasting results. Noelene Dawes is a Certified NLP Master Practitioner, Certified NLP Coach and Master Facilitator. She has worked extensively in Australia and Asia in corporate business positions, primarily in national level sales management and business development. Noelene has also held voluntary business club leadership roles at a local and national level. She is now the Director of her own company, Unlocking Potential Pty Limited and works as an executive coach, speaker, and author in her specialist area, emotional resilience for leadership. Noelene is a member of AIM (Australian Institute of Management) and ASA (Australian Society of Authors). Noelene’s passion for working with leaders, and especially women, to achieve their best in a corporate and business context was born of her personal experience. In her early thirties; while managing a large sales team; serving on a council committee; being president of her local chamber of commerce; as well as being a wife and mother of two young teenage girls; she was struck down with a serious chronic illness, rheumatoid arthritis, and this led to significant consequences which rippled through her personal and professional life. Despite this setback, that same year, Noelene (then Noelene Hurn) was awarded the inaugural ‘Hunter Regional Woman in Management’ by the Australian Institute of Management. Soon after, she was chosen by her CEO to take up a posting as sole representative in Jakarta, Indonesia. Her task was building business relationships and conducting market intelligence. Here she learned a good deal about the nuances of personality and cultural diversity, and the importance of authenticity, influence and diplomacy. Four years later Noelene moved to Sydney to take up a new position as National Sales Manager in a time of complete cultural upheaval. Her job was to develop a sales force from a public service culture. Here she learnt how to influence without wielding power and how a profitable result delivered collaboratively embeds real and positive change. It was this chain of experiences that led to her intensive work in the field of emotional resilience, models of self-management, and the ‘how-to’ of effective and successful participation in the corporate world without detrimental side effects. Noelene wants other women to know that it is possible to achieve it all in leadership and life AND be healthy and happy, provided they pay proper attention to their physical and emotional health no matter how busy they are.